0 November [O.S. 7 November] 1910. Born 9 September [O.S. 28 August] 1828 He primarily wrote novels and short stories. Tolstoy was a master of realistic fiction and is widely considered one of the world’s greatest novelists. He is best known for two long novels, War and Peace(1869) and Anna Karenina (1877). Tolstoy first achieved literary acclaim in his 20s for hisSevastopol Sketches (1855), based on his experiences in the Crimean War, followed by the publication of a semi-autobiographical trilogy of novels, Childhood, Boyhood, and Youth(1855-1858). His fiction output also includes two additional novels, dozens of short stories, and several famous novellas, including The Death of Ivan Ilych, Family Happiness, andHadji Murad. Later in life, he also wrote plays and essays.Tolstoy is equally known for his complicated and paradoxical persona and for his extreme moralistic and ascetic views, which he adopted after a moral crisis and spiritual awakening in the 1870s, after which he also became noted as a moral thinker and social reformer.His literal interpretation of the ethical teachings of Jesus, centering on the Sermon on the Mount, caused him in later life to become a fervent Christian anarchist and anarcho-pacifist. Tolstoy sadly passed away 29 November 1910 however His ideas on nonviolent resistance, expressed in such works as The Kingdom of God Is Within You, were to have a profound impact on such pivotal twentieth-century figures as Mohandas Gandhi and Martin Luther King, Jr and his epic sweeping novels such as Anna Kerenina and War and Peace are still rightly regarded as classics and have also been adapted for film and television many times. Twentieth November marks the anniversary of the Wedding day of Queen Elizabeth II to Lieutenant Philip Mountbatten, on 20th November 1947 at Westminster Abbey in London, who then becomes HRH Prince Philip, Duke of Edinburgh, KG, KT, OM, GBE, AC, ONZ, QSO, PC, AdC(P).and is also an official flag day in the United Kingdom.Born Prince Philip of Greece and Denmark on 10 June 1921, He is the Commonwealth realms’ longest-serving consort and the oldest spouse ever of a reigning British monarch. A member of the House of Schleswig-Holstein-Sonderburg-Glücksburg, Prince Philip was born in Greece into the Greek and Danish royal families, but his family was exiled from Greece when he was a child. After being educated in France, England, Germany and Scotland, he joined the British Royal Navy at the age of 18 in 1939. From July 1939, he began corresponding with the 13-year-old Princess Elizabeth (his third cousin through Queen Victoria and the eldest daughter and heiress presumptive of King George VI) whom he had first met in 1934. During World War II he served with the Mediterranean and Pacific fleets.After the war, Philip was granted permission by George VI to marry Elizabeth. Prior to the official engagement announcement, he abandoned his Greek and Danish royal titles, converted from Greek Orthodoxy to Anglicanism, and became a naturalised British subject, adopting the surname Mountbatten from his British maternal grandparents. After an official engagement of five months, as Lieutenant Philip Mountbatten, he married Elizabeth on 20 November 1947. On his marriage, he was granted the style of His Royal Highness and the title of Duke of Edinburgh by the King. Philip left active service, having reached the rank of Commander, when Elizabeth became queen in 1952. The Queen, his wife, made him a Prince of the United Kingdom in 1957.The United Kingdom of Great Britain and Northern Ireland uses as its national flag the royal banner known as the Union Flag or Union Jack — technically the latter term, although the more common name for the flag, refers to its use as naval jack when flown at sea.The current design of the flag dates from the union of Ireland and Great Britain in 1801. It consists of the red cross of Saint George (patron saint of England), edged in white, superimposed on the Cross of St Patrick (patron saint of Ireland), which are superimposed on the Saltire of Saint Andrew (patron saint of Scotland). Wales, however, is not represented in the Union Flag by Wales’ patron saint, Saint David, as at the time the flag was designed Wales was part of the Kingdom of England and was established by proclamation of James VI and I of Scotland and England. French American mathematician Benoît B. Mandelbrot was born 20 November 1924. Born in Poland, he moved to France with his family when he was a child. Mandelbrot spent much of his life living and working in the United States, and he acquired dual French and American citizenship. Mandelbrot worked on a wide range of mathematical problems, including mathematical physics and quantitative finance, but is best known as the popularizer of fractal geometry. He coined the term fractal and described the Mandelbrot set. Mandelbrot also wrote books and gave lectures aimed at the general public. Mandelbrot spent most of his career at IBM’s Thomas J. Watson Research Center, and was appointed as an IBM Fellow. He later became a Sterling Professor of Mathematical Sciences at Yale University, where he was the oldest professor in Yale’s history to receive tenure. Mandelbrot also held positions at the Pacific Northwest National Laboratory, Université Lille Nord de France, Institute for Advanced Study and Centre National de la Recherche Scientifique.From 1951 onward, Mandelbrot worked on problems and published papers not only in mathematics but in applied fields such as information theory, economics, and fluid dynamics. He became convinced that two key themes, fat tails and self- similar structure, ran through a situation of problems encountered in those fields. Mandelbrot found that price changes in financial markets did not follow a Gaussian distribution, but rather Lévy stable distributions having theoretically infinite variance. He found, for example, that cotton prices followed a Lévy stable distribution with parameter α equal to 1.7 rather than 2 as in a Gaussian distribution. “Stable” distributions have the property that the sum of many instances of a random variable follows the same distribution but with a larger scale parameter.Mandelbrot also put his ideas to work in cosmology. He offered in 1974 a new explanation of Olbers’ paradox (the “dark night sky” riddle), demonstrating the consequences of fractal theory as a sufficient, but not necessary, resolution of the paradox. He postulated that if the stars in the universe were fractally distributed (for example, like Cantor dust), it would not be necessary to rely on the Big Bang theory to explain the paradox. His model would not rule out a Big Bang, but would allow for a dark sky even if the Big Bang had not occurred. 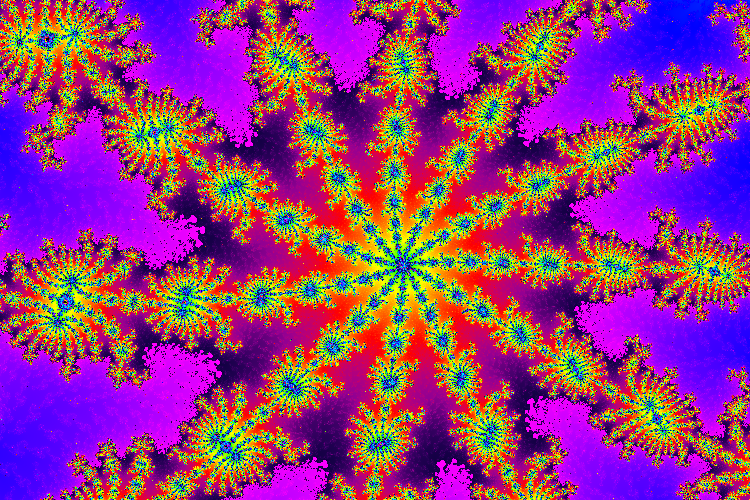 In 1975, Mandelbrot coined the term fractal to describe these structures, and published his ideas in Fractals: Form, Chance and Dimension.While at Harvard University in 1979, Mandelbrot began to study fractals called Julia sets that were invariant under certain transformations of the complex plane. 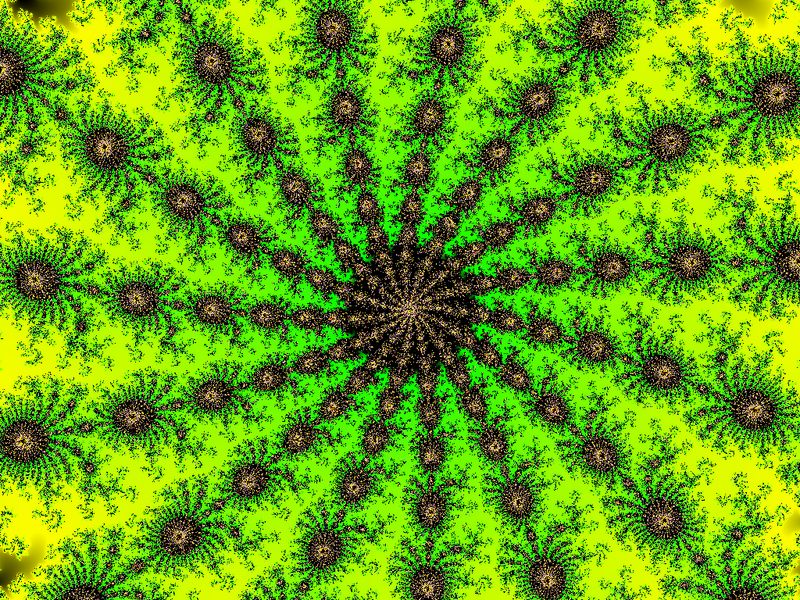 Building on previous work by Gaston Julia and Pierre Fatou, Mandelbrot used a computer to plot images of the Julia sets of the formula z2 − μ. While investigating how the topology of these Julia sets depended on the complex parameter μ he studied the Mandelbrot set fractal that is now named after him. (Note that the Mandelbrot set is now usually defined in terms of the formula z2 + c, so Mandelbrot’s early plots in terms of the earlier parameter μ are left– right mirror images of more recent plots in terms of the parameter c.) In 1982, Mandelbrot expanded and updated his ideas in The Fractal Geometry of Nature. 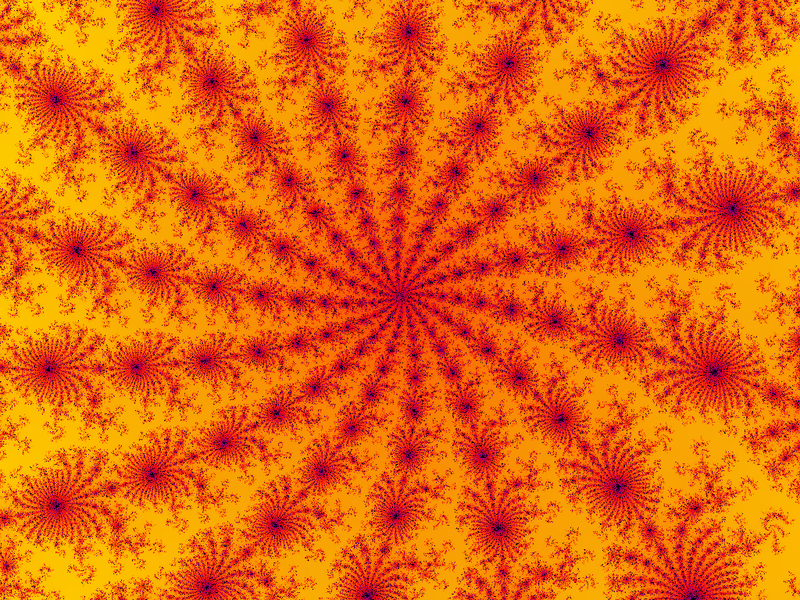 This influential work brought fractals into the mainstream of professional and popular mathematics, as well as silencing critics, who had dismissed fractals as “program artifacts”. Mandelbrot left IBM in 1987, when IBM decided to end pure research in his division. He joined the Department of Mathematics at Yale, and obtained his first tenured post in 1999, at the age of 75. At the time of his retirement in 2005, he was Sterling Professor of Mathematical Sciences. His awards include the Wolf Prize for Physics in 1993, the Lewis Fry Richardson Prize of the European Geophysical Society in 2000, the Japan Prize in 2003, and the Einstein Lectureship of the American Mathematical Society in 2006.The small asteroid 27500 Mandelbrot was named in his honor. In November 1990, he was made a Knight in the French Legion of Honour. In December 2005, Mandelbrot was appointed to the position of Battelle Fellow at the Pacific Northwest National Laboratory. Mandelbrot was promoted to Officer of the Legion of Honour in January 2006. An honorary degree from Johns Hopkins University was bestowed on Mandelbrot in the May 2010 commencement exercises. Although Mandelbrot coined the term fractal, some of the mathematical objects he presented in The Fractal Geometry of Nature had been previously described by other mathematicians. Before Mandelbrot, they had often been regarded as isolated curiosities with unnatural and non-intuitive properties. Mandelbrot brought these objects together for the first time and turned them into essential tools for the long-stalled effort to extend the scope of science to non-smooth objects in the real world. He highlighted their common properties, such as self-similarity (linear, non-linear, or statistical), scale invariance, and a (usually) non-integer Hausdorff dimension.He also emphasized the use of fractals as realistic and useful models of many “rough” phenomena in the real world. Natural fractals include the shapes of mountains, coastlines and river basins; the structures of plants, blood vessels and lungs; the clustering of galaxies; and Brownian motion. 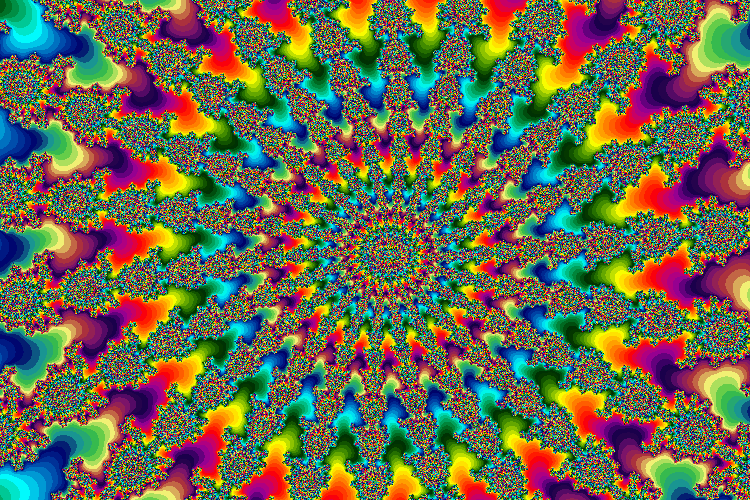 Fractals are found in human pursuits, such as music, art, architecture, and stock market prices. Mandelbrot believed that fractals, far from being unnatural, were in many ways more intuitive and natural than the artificially smooth objects of traditional Euclidean geometry. Joe Walsh, American musician with the Eagles and James Gang was born 20th November 1947. Formed in Los Angeles, California in 1971 by Glenn Frey, Don Henley, Bernie Leadon, and Randy Meisner, The Eagles have seven number one singles, six Grammys, five American Music Awards, and six number one albums, the Eagles were one of the most successful musical acts of the 1970s. At the end of the 20th century, two of their albums, Their Greatest Hits (1971–1975) and Hotel California, ranked among the 20 best-selling albums in the U.S. according to the Recording Industry Association of America. Hotel California is ranked 37th in Rolling Stone’s 500 Greatest Albums of All Time, and the band was ranked No. 75 on the magazine’s 2004 list of the 100 Greatest Artists of All Time.They have the best-selling album in the U.S. with Their Greatest Hits (1971–1975), which sold approximately 42 million copies worldwide. They have sold over 120 million albums worldwide, and 100 million in the U.S. alone. They are the fifth-highest-selling music act and highest-selling American band in U.S. history. No other American band sold more records than the Eagles during the 1970s. The Eagles released their self-titled debut album in 1972 which spawned three Top 40 singles, “Take It Easy”, “Witchy Woman”, and “Peaceful Easy Feeling”. They followed up the success of their debut album with Desperado in 1973. The album was less successful than the first, reaching only No. 41 on the charts and neither of its two singles reached the Top 40. However, the album contained two of the band’s most popular tracks, “Desperado” and “Tequila Sunrise”. They released On the Border in 1974 and added guitarist Don Felder midway through the recording of the album. The album generated two Top 40 singles: “Already Gone” and their first Number One, “Best of My Love”.It was not until 1975′s One of These Nights that the Eagles became America’s biggest band. 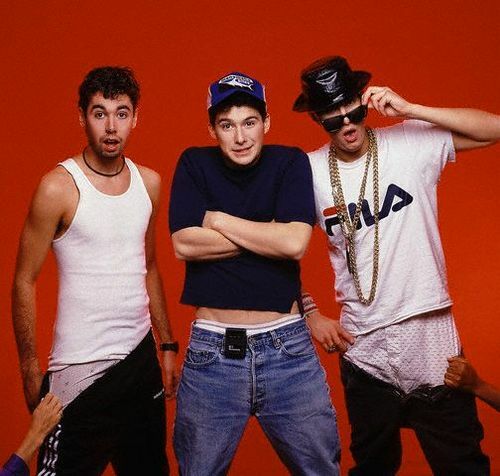 The album released three Top 10 singles: “One of These Nights”, “Lyin’ Eyes”, and “Take It to the Limit”. They continued with that success in late 1976 with the release of Hotel California, which would go on to sell over 16 million copies in the U.S. alone. The album yielded three Top 20 singles, “New Kid in Town”, “Hotel California”, and “Life in the Fast Lane”. They released their last studio album for nearly 28 years in 1979 with The Long Run, which spawned three Top 10 singles: “Heartache Tonight”, “The Long Run”, and “I Can’t Tell You Why”.The Eagles disbanded in July 1980 but reunited in 1994 for Hell Freezes Over, a mix of live and new studio tracks. They have toured intermittently since then and were inducted into the Rock and Roll Hall of Fame in 1998. In 2007, the Eagles released Long Road Out of Eden, their first full studio album in 28 years. The album would top the album charts, release five singles on the Adult Contemporary Charts and win the band two Grammys. The next year they launched the Long Road Out of Eden Tour in support of the album. The band members have discussed the possibility of making another album.